You know that I got you covered, right? Always have and I will always do. And be it the ones for your lovers, friends, family members and not forgetting the ones for yourself, I’m your best bet. Yes, the ones for yourself, because you also deserve a special Happy New Month Messages, as you’re special. 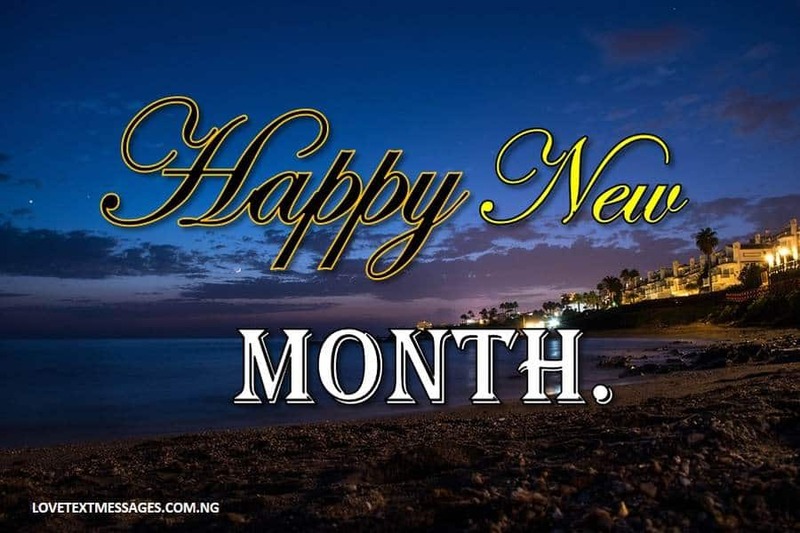 Here are some of the best Happy New Month of April Messages you will ever come across. Best for your lover, friends, family members and not forgetting the ones for yourself. You also deserve a special Happy New Month Messages, because you’re special. 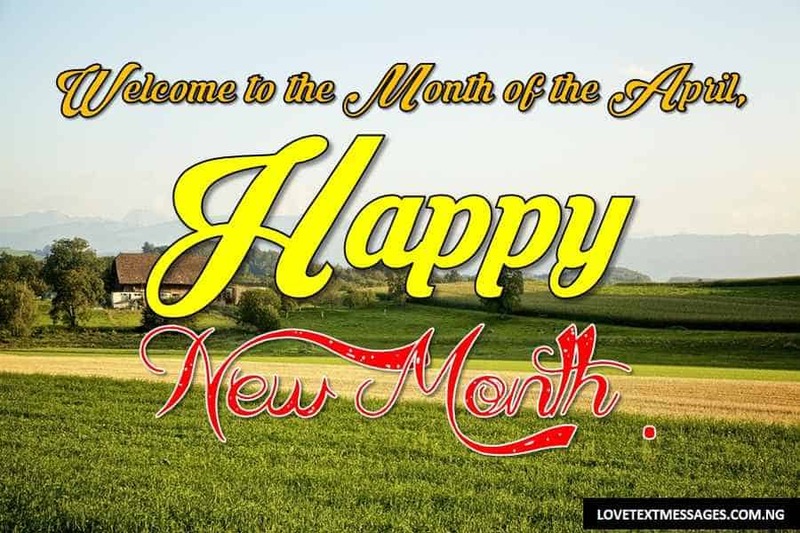 Here are some of the best Happy New Month of April Messages you will ever come across. 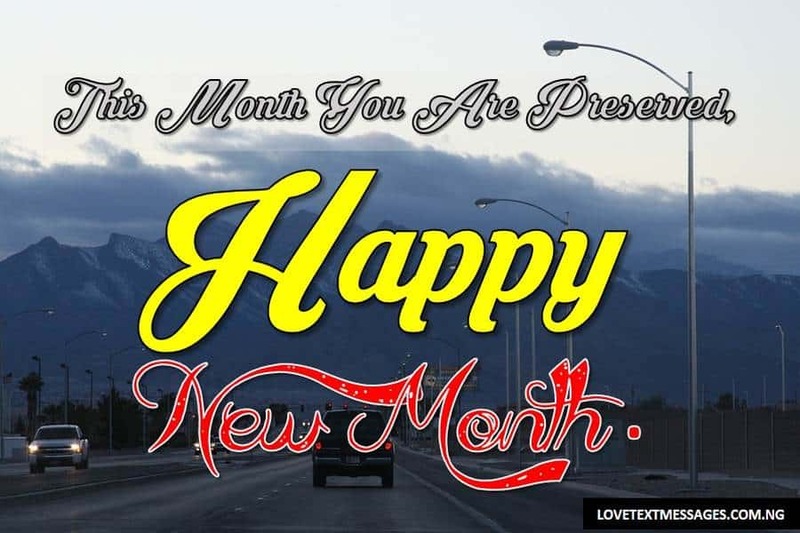 Happy New Month Messages and Wishes to send to your Boyfriend, Girlfriend, Husband or Wife for April 2019. 1. 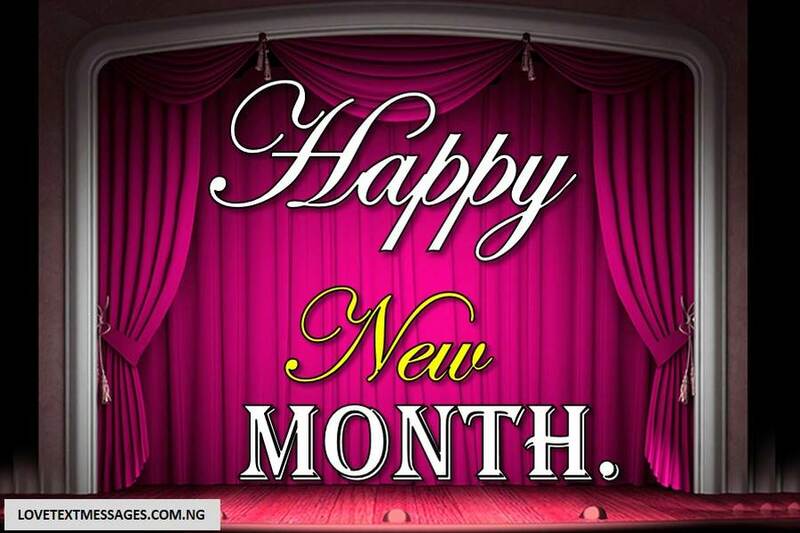 An abundance of blessings and prosperity are my heartfelt wishes to you today and throughout the month. Happy New Month, my dearest. 2. May the month of April be filled with pleasant surprises and great accomplishments. Happy New Month, my cuppy cake. 3. Happy New Month of April to you, my prince charming. May it bring you gladness and great tidings. 4. It’s my prayer that this new month brings you pleasant surprises. Happy New Month to you, beautiful. 5. I wish this new month will bring you all your wishes and aspirations. Happy New Month, my dearest. 6. 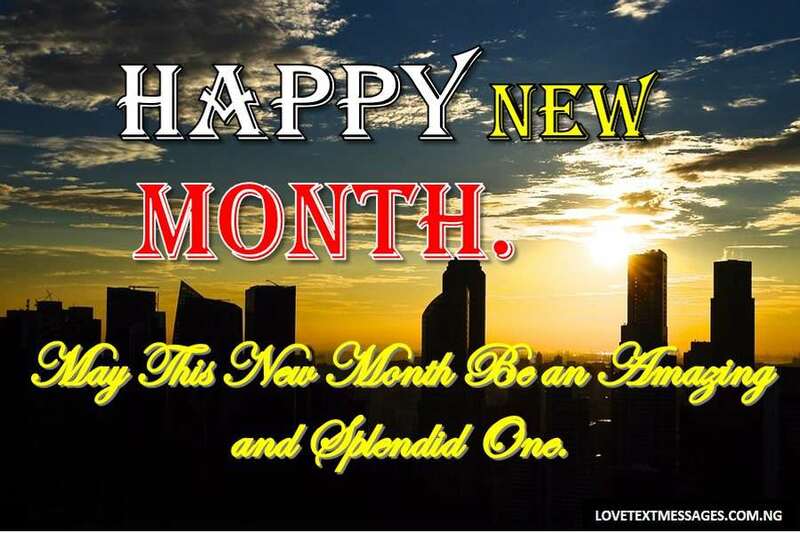 May this beautiful new month present to you unending love, happiness and peace. Happy New Month, sweetie pie. 7. I wish your tomorrow will always be beautiful and better than today. Happy New Month to you, handsome. 8. May God grant you the insight and courage to achieve your goals in this new month and beyond. Happy New Month, my one and only. 9. As you begin a new month, may God today and always do something new in your life every day. Happy New Month to you, my love. 10. May every day of this month bring you joy and peace of mind and body. Happy New Month! 11. This month will be a month of breakthrough, prosperity and abundance of blessings and so shall it be for you. Happy New Month, my knight in shining armour. 12. New insights, new experiences, new goals and a new beginning. These are my wishes for you. Happy New Month to you, sweetheart. 13. May your all wishes come true with each passing day of this new month. Happy New Month, my dearest. 14. I hope your all wishes, goals and dreams come true for you this month. Happy New Month to you, beautiful. 15. May you always make a difference in this new month and beyond. Happy New Month, my prince charming. 16. It’s my prayer that everything that will come your way this month brings you great tidings and peace. Happy New Month to you, cuppy cake. 17. May you enjoy every moment of this month with a heart full of gratitude and love. Happy New Month, handsome. 18. Cheers to wonderful days and weeks ahead of you and I wish you have an amazing month. Happy New Month, my woman and my everything. 19. May you accomplish all your aspirations in this beautiful new month and always. Happy New Month to you, my dearest. 20. I wish this new month will always be better than the previous ones. Happy New Month! 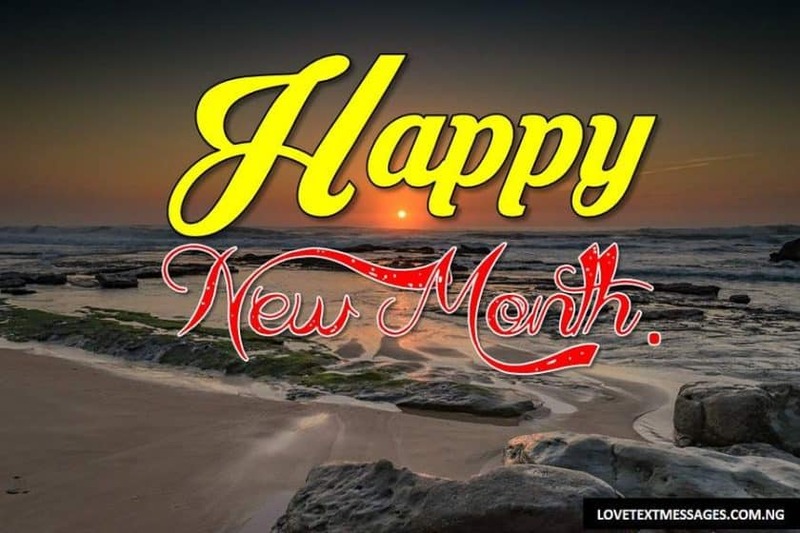 Happy New Month Messages and Wishes to send to your Best of friends for April 2019. 1. I hope this new month brings you more accomplishment and peace of mind. Happy New Month to you, my dearest friend. 2. May this beautiful month bring you so much beautiful things, great tidings and happiness. Happy New Month, my lovely friend. 3. Every day of this month will be full of amazing things and may it bring you closer to your dreams. Happy New Month to you, my beautiful friend. 4. May God open doors of blessings, happiness and peace which no one can shut. Happy New Month, my sweet friend. 5. In this new month, I pray that God will give you enough reasons to be grateful throughout the month and beyond. Happy New Month! 6. As you embark on the journey of a new month, may God continue to guide and guard you always. Happy New Month, my dearest friend. 7. Happiness and peace will always abide with you in this new month and beyond. Happy New Month to you, my lovely friend. 8. May God turn all your sorrow to joy, your sadness to happiness and your disappointment to an appointment. 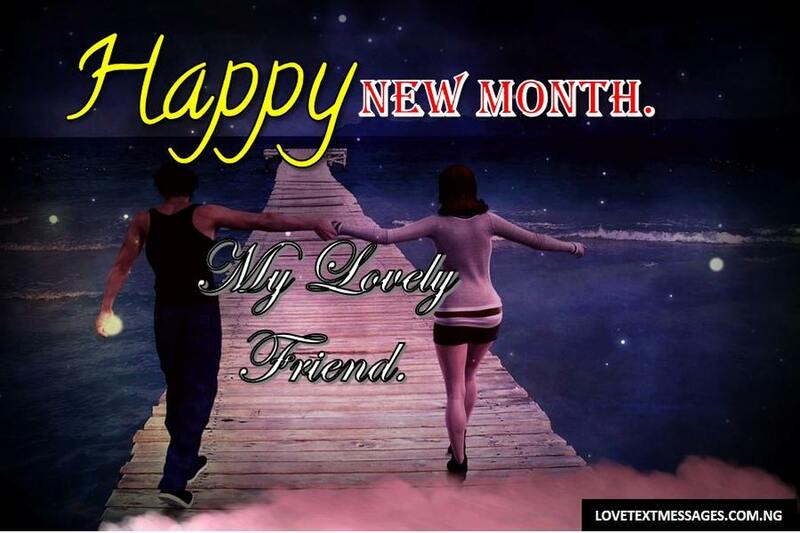 Happy New Month, my best friend. 9. It’s my heartfelt wishes that this month of April brings you peace and prosperity every day. Happy New Month to you, my beautiful friend. 10. I wish that this month of April filled with wonderful things for you always. Happy New Month, my sweet friend. 11. Good health, peace of mind and body, and great accomplishments, these and so much more are my wishes for you. Happy New Month to you, buddy. 12. In this month of April, you will be appointed for blessings and great tidings. Happy New Month, my good friend. 13. I wish you all the best and beautiful things that life has got to offer today and beyond. Happy New Month to you, my lovely friend. 14. You will today and throughout this new month have a reason to be thankful and joyous. Happy New Month, my dearest friend. 15. Happy New Month of April, and I pray it brings an abundance of peace, joy and success to you. 16. May each and every day of the month bring you opportunities and may God give you the grace and courage to make the best use of it. Happy New Month to you, buddy. 17. I pray that God will grant all your wishes in this new month and give you a reason to celebrate. Happy New Month, my good friend. 18. All that you’ve ever dreamed of, may God grant them to you this month and beyond. Happy New Month to you, my lovely friend. 19. May God position you for something great in this beautiful new month and always. Happy New Month, my beautiful friend. 20. At every disappointment, sorrow, pain and sadness, I pray that God will always be there for you and see you through it all. Happy New Month! 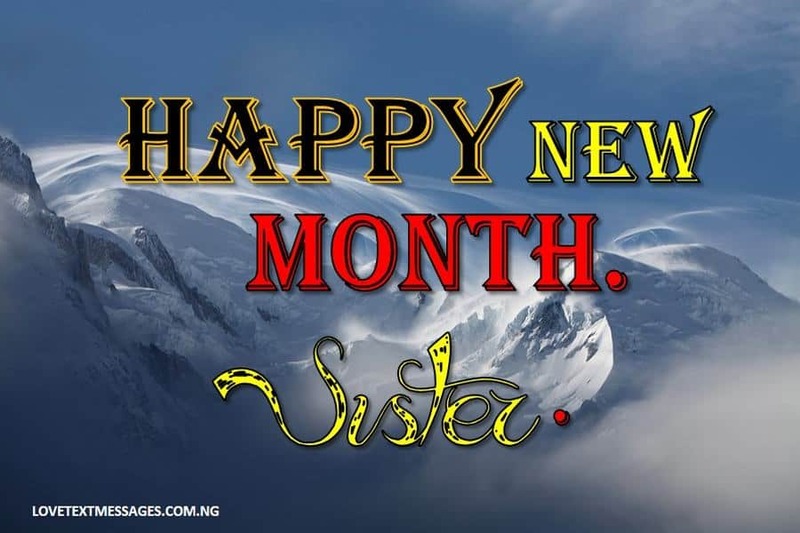 Happy New Month Messages and Wishes to send to your Brother, Sister, Son, Daughter, Mom or Dad for April 2019. 1. May God today and always do a new thing in your life. Happy New Month to you, my beautiful daughter. 2. As this month begins today, may new and beautiful things never cease to happen in your life. Happy New Month to you, son. 3. May you find joy, peace and happiness in this coming new month. Happy New Month, my sweet aunt. 4. Concerning you and your household, may God cause heaven to open and pour His blessings on you. Happy New Month, my dearest uncle. 5. Joy unspeakable, an abundance of blessings and unending happiness will be your portion today and always. Happy New Month to you, mum. 6. May this new month bring you all round success in all your endeavours today and always. Happy New Month, dad. 7. It’s my heartfelt wishes that God will turn your weakness into strength, this month. Happy New Month to you, beautiful sister. 8. In the morning, you will be blessed. In the afternoon, you will be favoured and in the night, you will be protected from the evil ones. 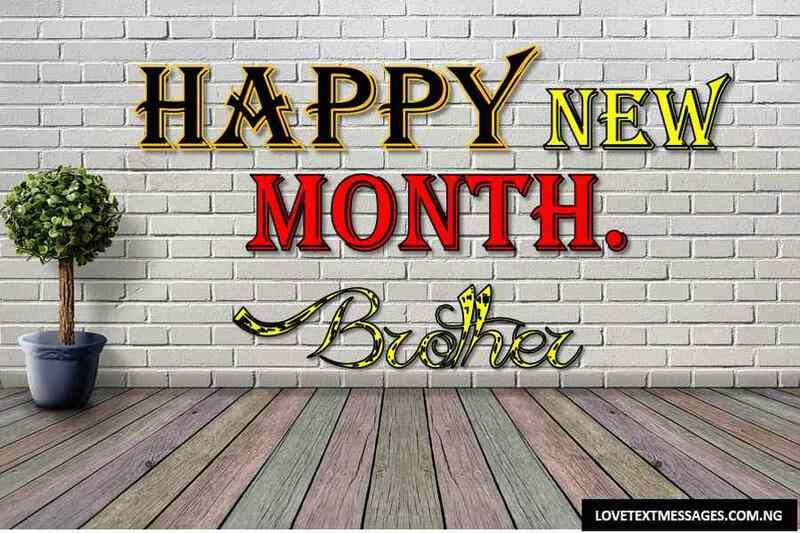 Happy New Month, my dearest brother. 9. 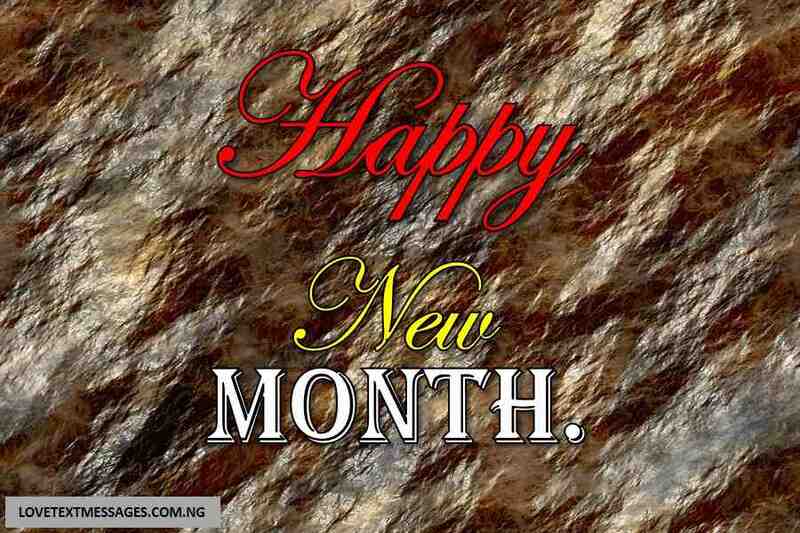 May the happiness and blessings of this month supersede that of the previous months. Happy New Month to you, my sweet niece. 10. I pray that God bless you beyond your wildest dreams and fill your heart with gratitude. Happy New Month, nephew. 11. God’s blessings will be with you today and throughout the month. Happy New Month to you, son. 12. Every second, minute, hour and day of this month will be filled with God’s peace and joy. Happy New Month, my beautiful daughter. 13. I hope you will always make the best use of each day of this new month as it unfolds. Happy New Month to you. 14. May everything you ever wish for be granted to you today and always. Happy New Month, my beautiful cousin. 15. In this beautiful month of April, you will always soar higher and higher like an eagle. Happy New Month to you. 16. Beyond your wildest dreams will God bless you today and all through the month. Happy New Month! 17. God’s benevolence will always be available to you today and throughout this month and always. Happy New Month to you. 18. 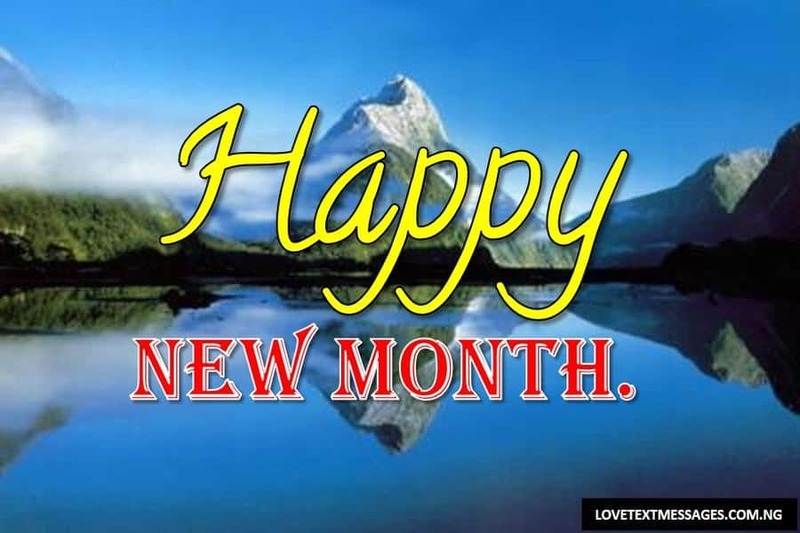 Pleasant surprise, beautiful things and great tidings will cease in your life in this beautiful new month and always. Happy New Month! 19. Each and every day of this month will bring you peace of mind and body, joy and gaiety. Happy New Month to you. 20. 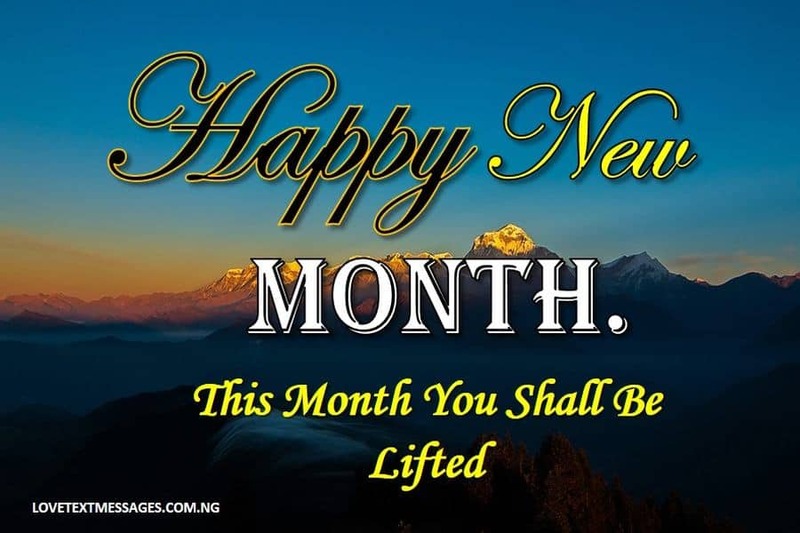 Good health, prosperity, happiness, joy, these and much more will be your portion this month. Happy New Month! Happy New Month Messages and Wishes to use for yourself on Facebook, Twitter,Instagram or as status on WhatsApp. for April 2019. 1. May God grant me the strength to embrace and make the best use of every opportunity in this new month. Happy New Month to a new me. 2. I receive the grace, courage and wisdom to be better than who I was yesterday and so shall it be in Jesus name, Amen. Happy New month to me, myself and I. 3. May this month be beautiful and wonderful for me today and beyond. Happy New Month to me. 4. It’s my prayer that this beautiful month bring along with its abundance of happiness and prosperity. Happy New Month! 5. I wish myself a pack full month of great tidings and pleasant surprises. Happy New Month to a new me. 6. 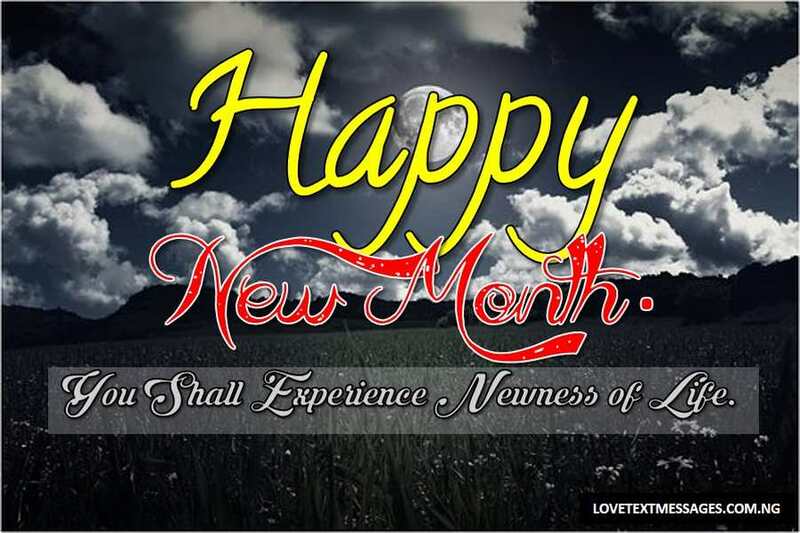 Daily as I live in this new month, my life will always be an expression of God’s benevolence and love. Happy New Month to me, myself and I. 7. May this new month be an amazing and splendid one for me today and always. Happy New Month to me. 8. I pray God give me the bravery to stand tall in the face of every uncertainty of life in this month and always. Happy New Month! 9. In this new month, I will be favoured beyond human understanding and I will always have a reason to be thankful. Happy New Month to a new me. 10. It’s going to be my month of deliverance, joy, happiness, peace, good health and prosperity. Happy New Month to me, myself and I. 11. Everything that’s going to happen in this new month will always bring me unlimited happiness and unending joy. Happy New Month to me. 12. It’s a new month and I pray for new insights, new ideas and new inspiration from God today and all through the month. Happy New Month! 13. Cheers to my month of divine restoration and upliftment, my month of open doors and favour. Happy New Month to a new me. 14. I pray that God will give me the grace to always trust and hope in Him, even in the face of the uncertainties of life. Happy New Month to me, myself and I. 15. May the Almighty God meet me always at the point of my need in this new month and beyond. Happy New Month to me. 16. In this month of April, I will achieve my goals and aspirations and God will bless me beyond human understanding, so shall it be in Jesus name, Amen.Happy New Month! 17. God’s goodness, kindness and mercy shall follow me today and throughout this month and beyond. Happy New Month to a new me. 18. This month of April shall be my month of greater accomplishments and new testimonies. Happy New Month to me, myself and I. 19. May God elevate me in all my endeavours in this new month and always. Happy New Month to me. 20. I wish that this new month bring a lot of positive changes in my life today and always. Happy New Month! It’s a new day and a new month of an amazing and beautiful year. 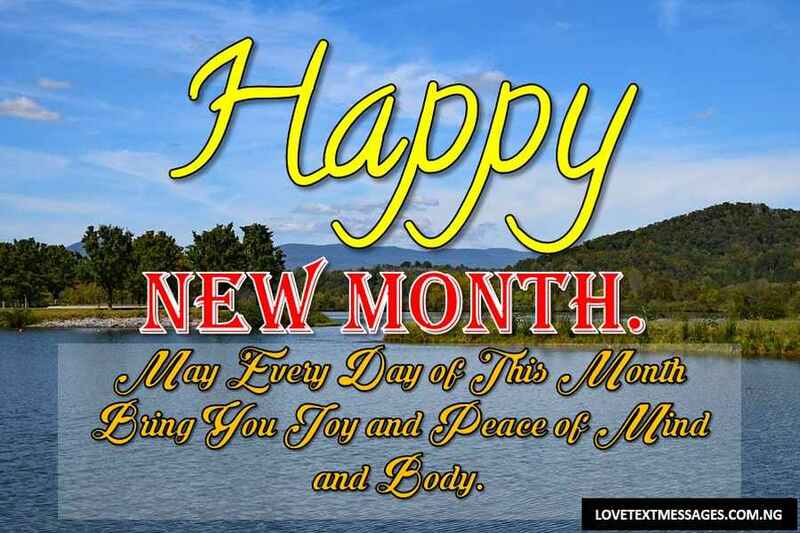 And starting the month with God will be the surest and best way of beginning a month that promise to be full of blessings, bliss and great accomplishments. 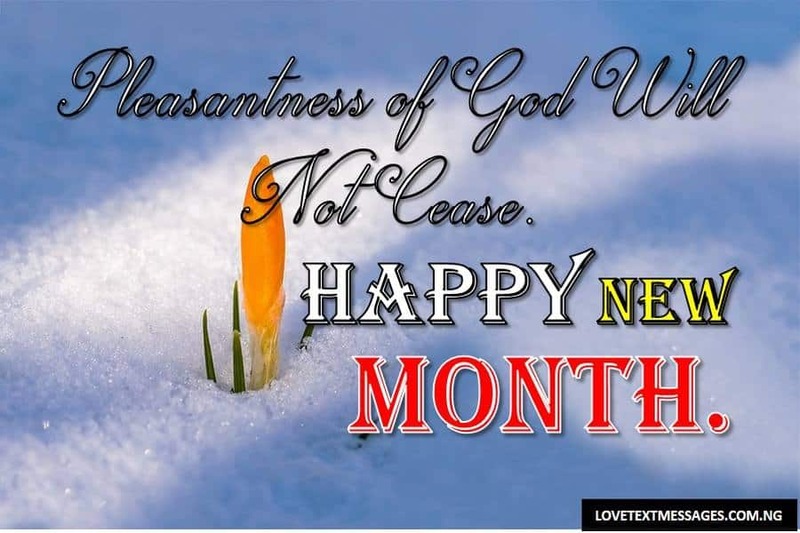 Below are lovely Happy New Month of April Prayers to start the new month in a joyous and grand style. 1. In this month of April, I pray that you will never lack anything good in life. Your life will be full of bliss, joy and great accomplishments, and may you be blessed beyond measure today and throughout this month and beyond. Happy New Month! 2. On this special month, I pray that you will today and always not only find favour with God but with men also. You will grow from strength to strength, and from glory to glory. Your light will shine before men and they will see and glorify God. Happy New Month to you. 3. As you step into a month, it’s my prayer that God will always be with you. He will be your guard and guide you through the stormy weather of life, and may your life continue to be an expression of God’s benevolence. Happy New Month! 4. It’s a new month and I pray for you. May God guide and lead you in the right path. May God bring you closer to your dreams each and every day of this month and may you always have a reason to be grateful as God will fill your heart, life and world with His blessings. Happy New Month of April. 5. In this beautiful new month, may every day bring you unspeakable joy, unending love and abundance of happiness and blessings. And may God’s benevolence surround you in every aspect of life. Happy New Month to you. 6. In this new month, God will give you new testimonies and open your eyes to always see opportunities where others see obstacles, success in the face of failures, and in the face of troubles, may God make a way for you where there seems to be no way. Happy New Month! 7. I pray that God will make everything to work for your good in this new month and always. He will cause you to rise above every challenge, and may God give you many reasons to smile and stand tall in this new month and always. Happy New Month to you. 8. Because it’s your month, I pray that God’s promise and plan concerning your life will be fulfilled in this new month. You will live and not die and may God give you the insight to fulfil His purposes in your life. Happy New Month of April. 9. Doors of greater accomplishments, blessings and happiness will open for you in this new month. God will bless you beyond human limitations and you will also be a blessing to others. And all your sorrow will change to happiness, your sadness into joy today and always. Happy New Month to you. 10. As you behold the dawn of another day in a new month, may your eyes behold great and beautiful things in this new month. New things will not cease in your life. New testimonies your mouth shall testify to today and throughout this month and always. Happy New Month!